So, you’re evaluating your marketing options for the upcoming boat selling season… maybe you’re looking to re-design your website… start doing more digital marketing… looking to improve your current marketing results… jump into FaceBook ads… improve you’re email communication strategy… or develop a complete end to end marketing plan, then you should be giddy that you found this article before signing any contracts or writing a check. 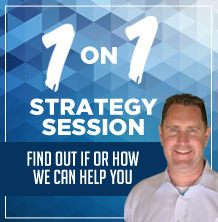 No option is right or wrong, well except for the last one where you ignore making a decision on your boat dealerships marketing plan and partners for another year… accepting the same unpredictable results you did last year. Don’t walk-away from this article or your search and say; it’s just too much and too complicated with too many options to pick from so I’m not going to do anything. If you do, you’ll be losing money for sure! It’s very easy to be overwhelmed when talking with marketing people that promise the moon, use unintelligible marketing jargon and expect you to understand the technology like they do. If you come across someone that’s so smart you can’t understand them, it may be a warning sign that working together will be difficult over the long haul. Or worse, their jargon and industry speak are just a cover for a poor understanding of what actually works (to sell more boats and put profit in the dealership) because not all marketers (especially those that have not owned their own business before) understand that your business survives on sales and profits, not brand recognition or social media reach. As we get started, remember that each step builds on the next one and the more complete thought you put into the previous step will deliver a better result for the next step. 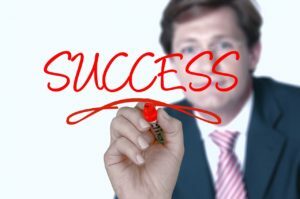 The first thing to consider is, what areas of your sales and marketing process are working well right now and what areas are you missing or doing poorly (regardless if you are doing them yourself or hired a boat dealership marketing company). 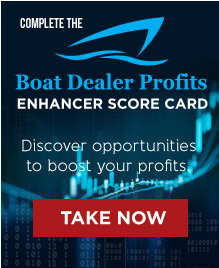 You can use our Boat Dealer Profits Profit Scorecard to help rank yourself in key areas. Do an honest evaluation on this step, it will help you address the right need when that time comes. Read your sales staff’s emails to prospects. Listen to phone calls to leads generated via each source. Look at your current online dealership as a new prospect and potential boat buyer would see your dealership. Look at what others (inside and outside the Boating Industry) are doing that appears to be highly profitable. Not just cool and flashy, but actually profitable. This research is critical. Don’t just say, we need to start doing FaceBook or we need a new website (unless it’s not mobile responsive, then you do need a new boat dealership website). 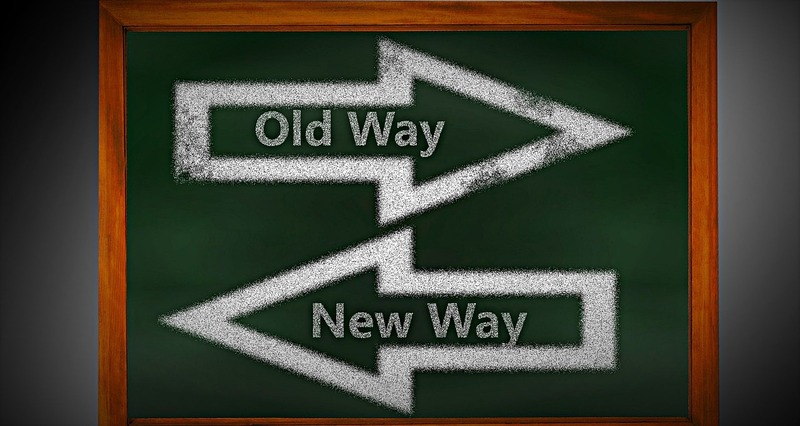 Because often the answer to better marketing results and higher profitability is a combination of improvements. #2. What are your end result goals? You can’t sell a boat if you don’t know who is considering buying a boat in the future. Even in today’s digital world, a boat is sold, nose to nose, toes to toes with a sales person and a real live prospect. For many dealers looking to hire or change marketing providers, this is one of the main goals. Understanding the ‘Educational Spectrum of a Boat Buyer’ can be very helpful in accomplishing this goal. 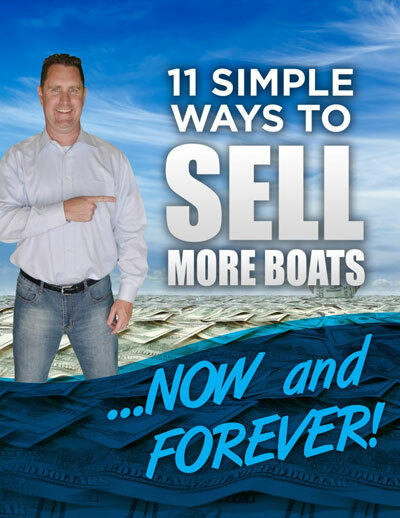 For some dealers, they have tons of leads coming in from various sources however they are just not qualified (financially they can’t afford a boat, live outside the market area or really have no interest in buying a boat). In these cases, it’s important to understand if the quality issues is one of truly poor leads or that they are just not ready to buy yet. Here’s where it gets interesting. The made these calls every 90 days for 3 years. And, this is what they discovered. Out of 100 buyers, only 15 people bought within 90 days of submitting the lead. An additional 85 people bought from 90 days to 3 years, proving that the biggest value in a bundle of leads is in the consistent follow-up over the long haul. If a majority of buyers (85%), buy from 90 to 1,095 days, there is an enormous opportunity to build a relationship and build value with these prospects. And, when done properly, this communication strategy will dramatically drive up margins and make sales easier and more fun. Once you determine if the issue is with follow-up or with truly poor leads, you will make a better decision in the next step. And, don’t get me wrong, I’ve plenty examples of poor leads from making the wrong offer to the wrong people. And, consider that it may be a combination of both. Generate more date and time appointments for your sales staff with prospects that are better pre-positioned for a higher margin boat sale. This step is best achieved with a well thought out and consistent follow-up process that compliments the boat sales persons manual efforts. Often referred to as a 24/7 Selling Machine, this has revolutionized many dealership when focused on getting current prospects to reach out to your sales team when they are ready to buy a boat. And, can often accelerate the time in which they are ready to buy. If you are currently relying primarily on the manual effort from sales staff (phone calls and one-off emails), this area could likely be an opportunity for your marketing department to assist you. 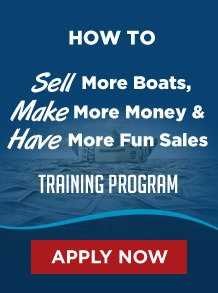 Improve conversion of leads to high margin boat sales (on this one, is the issue boat sales training for your staff or lack of effective or consistent follow-up process (See Boating Industry Article on 24/7 Selling Machine by Matt Sellhorst) which is similar the the point above. Depending on the reason for your unacceptable results in this area may lead you to a different marine marketing company. 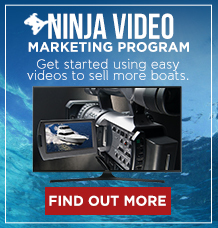 Improve margins on major unit boat sales (again, could be a need for a boat sales trainer or a need to improve the quality of your messaging in the follow-up or 24/7 Selling Machine system). If you are having an issue holding the margins you should be holding, the issue could be a sales training or marketing issue. If you feel you’re sales staff is rock solid on presenting price the right way. Building value in the sales process and negotiating the sales, it could be that adding better marketing tools like (social proof, $100 messages, shock & awe packages, signage in the showroom and even persuasive messages on your website) could be a portion of the answer. Again, knowing why the result is not where you want it to be will help you choose the right marketing vendor for your true need. Maybe you do fantastic with your boat sale marketing and sales process and are selling all the boats you can while holding fantastic margins but you need more sales in your service department, parts/accessories or pro shop (or any other department you have). 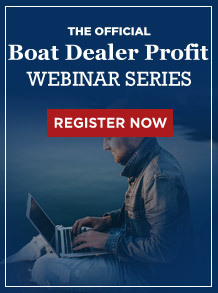 Having exceptional marketing in these additional profit centers can take a dealership from barely getting by and turn them into an enormously profitable boat dealership for the owners and shareholders. Now that you are crystal clear on what areas of your boat dealership marketing plan you need to improve and the underlying cause of your less than stellar results, you can start evaluating providers or look to address the issues through sales training or consultants if that approach is the best fit based on a realistic evaluation of your boat business. For this step; attending MDCE, talking with dealers in your network or simply searching Google for a local provider will give you a list of potential marketing vendors to help improve your boat dealership’s marketing. You may find some of these vendors on the Boat Dealer Profits PodCast. Explore as many options as possible at this stage. Just make a list of 5 to 10 options based on what they do that can help drive the results you are looking for. If they are going to help you generate leads, do they explain how they will do it? Ask if they have a system or process or proven strategies to drive leads for boat buyers on the Educational Spectrum of a Boat Buyer. They should be able to provide a sample of their philosophies, approaches and general strategies they will use via a video, webinar, podcast, articles, report or something similar on their website (or call to ask for what you are looking for). Make a quick chart of what you need assistance with and where they excel. Its highly likely that you have opportunity to improve in multiple areas (including in your sales staffs skills and tool). Rate each marketing service 1-5 based on each area that you need assistance based on what you can find online. Do their strategies, systems and services make sense that they’d work in today’s boat sales environment. Do they appear to make sense for your boat dealership? Or, do they seem to be delivering results other than leads, engagement with your sales team and date and time appointments with your best sales people. Some marketing companies and sales trainers market themselves as marine industry experts with a single client in the industry. When you go to implement the solution, the issues and mismatch of auto industry or lack of boat business experience comes to the surface. It’s easy to make a great sales pitch that sounds exactly like what you’re looking for but delivering on the end result cannot be faked. Who have you helped in the industry do this in the past? What type of results did they achieve within what type of budget (understand that actual budgets and results will vary market to market)? Describe the system and tools used to generate the results (is it a branding based to spread the word or is it results based to drive leads and date and time appointments with your sales team)? Do you have another client in my area using your proprietary techniques and platform? Ask if they guarantee their results in any manner? If so, have you had anyone exercise the guarantee? Do you have any testimonials of clients who you have worked with in the past? The answers to these 6 questions will give you a pretty good idea who is capable of delivering the results you will demand of them. Once you have all of the information from your best boat sales marketing vendors, you will have a pretty good idea of the right choice. 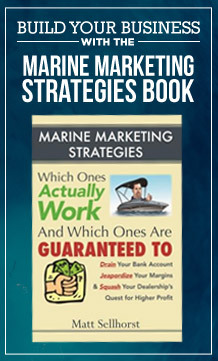 If a client does not offer an area exclusive program, you may want to consider if you will be receiving the absolute best strategies and tactics available in today’s marine marketing world. (exclusive to geography and the type of boats you offer). 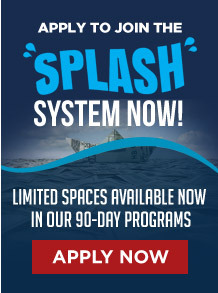 If it’s not area exclusive, will they provide you any specific strategies, system or guidance on the best way to sell more boats and make more profits? Would having multiple boat dealers in the same market area using the same strategies and tactics against each other help or hurt your results? But, before you hire a marketing company for your boat dealership, consider one last aspect (especially if there are 2 companies that are neck and neck in the comparison). Ask them, who will be driving the relationship at the marketing companies end and how will they handle the strategy and planning year after year? The best marketing companies in the boating industry will start with a strategy session and consistent communication as things get started. They will also have yearly planning sessions with their boat dealership clients. These planning session, whether done in person or virtually will allow the relationship, strategy and tactics to start strong and improve over time creating a snowball effect of profits. The skill, knowledge and experience of the marketing person leading this planning/strategy session will have an enormous impact on your results. 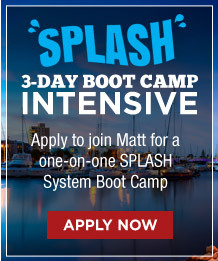 You may be thinking, this is a lot of work to hire a marketing company for our boat dealership… and you’d be right. 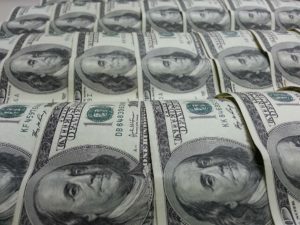 However, there is a significant difference in the results (in my mind, results are boat sales and profits in the bank), so the effort is certainly worth it. In the end, a little extra research up front; attending a webinar, reading a few articles, blog posts, watching a few videos or podcasts can help you find the person and/or company with the right system, services and understanding of the industry to deliver you and your dealership enormous profits, year after year. Before you go, here are the 7 costly misconceptions about hiring a marketing company to help you sell more boats, make more money and have more fun! There is no such thing as a magic, no fail media option. What matters is choosing the best media sources, along with the right message to your best target market. This requires a proven system that can be tweaked or starting from scratch with expensive testing and time. Like almost everything, the cheapest option delivers the cheapest results. Or, lack of results. Instead of thinking cheap or expensive, think about ROI, return on investment. 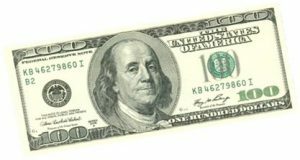 A $1,000 campaign that doesn’t deliver any results is expensive. But, a $100,000 campaign that delivers $10,000,000 in sales is a wise investment. The auto industry is just close enough to the boat sales world in the consumer’s mind that it can cause issues related to how quickly a ordered boat can be built and the number of units actually sold of any one model. On the marketing side however, the misconception could cost you major time and money lost. Often times, bigger means less expert advice at the level of implementation. You find yourself implementing what everyone else is doing and getting little to no results. Your account manager has no expert experience to help guide you, so if you don’t bring the profitable strategy and tactics to the table and explain how to implement for best results, you just get what you get and they hope that good enough to keep you around. If everyone is using the same provider, you’ll want to verify area exclusivity because everyone using the same platform, strategies and tactics in a local market area will result in everyone receiving similar and likely unacceptable results. The most profitable relationship with a marketing provider for your dealership will come when you work as a team customizing proven and tested strategies, tactics and systems for your specific boat dealership. This requires input upfront with minimal month to month involvement resulting in the highest return on your marketing investment you can achieve. In today’s day and age and throughout time, profitable marketing comes down to a proven strategy delivered via a tested and efficient system that incorporates the lead generation, value building, follow-up, engagement with sales staff, a proper sales frame work and focus on maximizing life-time value of a client. When approached in this complete and systematic manner, results can be virtually guaranteed! Add in congruent and consistent sales training from an expert source and you have a recipe for a highly profitable and stable dealership! 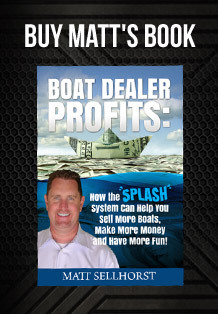 What do others in the boating industry have to say about Boat Dealer Profits? 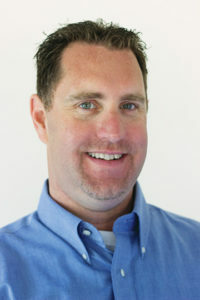 Matt Sellhorst is the sales and marketing columnist for Boating Industry magazine, the founder of Boat Dealer Profits and creator of the SPLASH System (TM). He developed his proven sales and marketing system thru years of testing and huge success doing millions in sales as a nose to nose, toes to toes salesman. 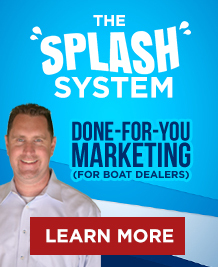 He is now sharing his SPLASH sales and marketing systems with honest and ethical boat dealers to sell more boats, make more money & have more fun! 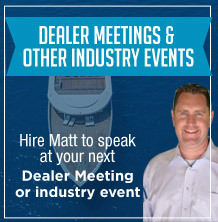 You can find more from Matt on his Boat Dealer Profits podcast, Boat Dealer Profits TV, articles and blog posts and speaking from the stage on industry events around the country, including the Marine Dealer Conference and Expo and Marine Retail University. Go to www.BoatDealerProifts.com to discover more.